Well-Being: health and well-being of children is protected and nurtured. Contribution: learning is equitable, and each child’s contribution is valued. Communication: languages and symbols of our own and other cultures are promoted and protected. 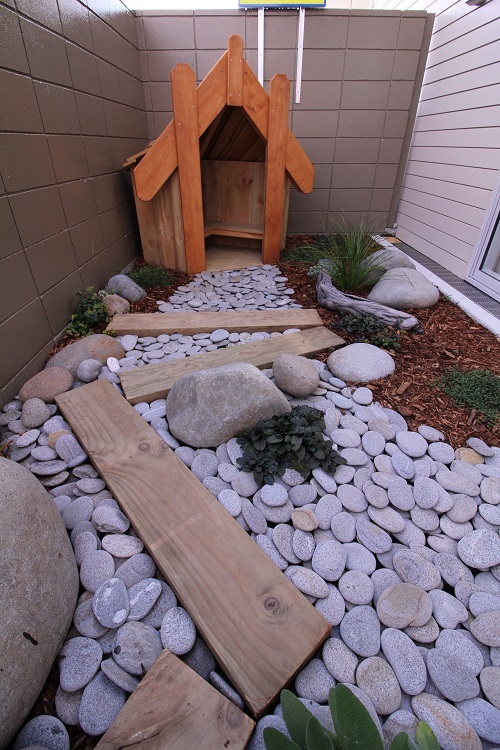 Exploration: children learn through active exploration of the environment. 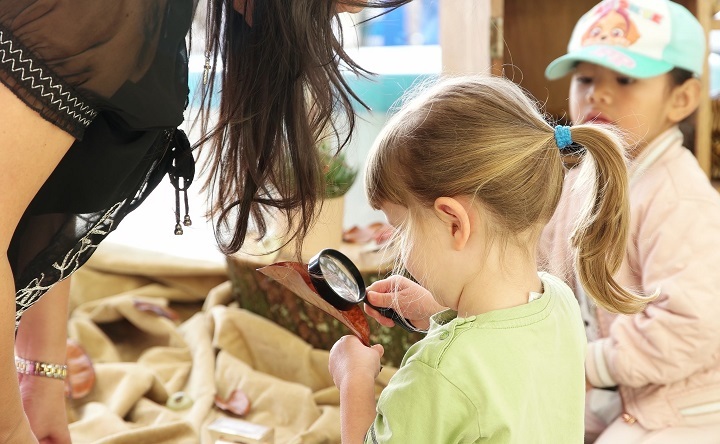 By incorporating the educational philosophy of Reggio Emilia, we endeavour to base our curriculum on principles of respect, responsibility, and community through exploration and discovery. Children are encouraged to follow their interests and express their ‘hundred languages’. Children learn through experiences of touching, moving, listening and observing, with relationships at the core of learning as they develop bonds with staff and children as well as developing a relationship and understanding of their environment and resources around them. Children learn alongside others and their teachers and are leaders of their learning. Children participate actively and become life -long learners in this way by taking part in active research and discovery rather than purely being the target for instruction by teachers. The RIE approach is another way in which we show respectful care of our children. It is centred around our infants and babies and ensures that staff allow our youngest learners to develop at their own pace. They have opportunities throughout the day for uninterrupted play, so they can master skills and develop their feelings and comprehension of the world around them and their impact on this as well as their own abilities. 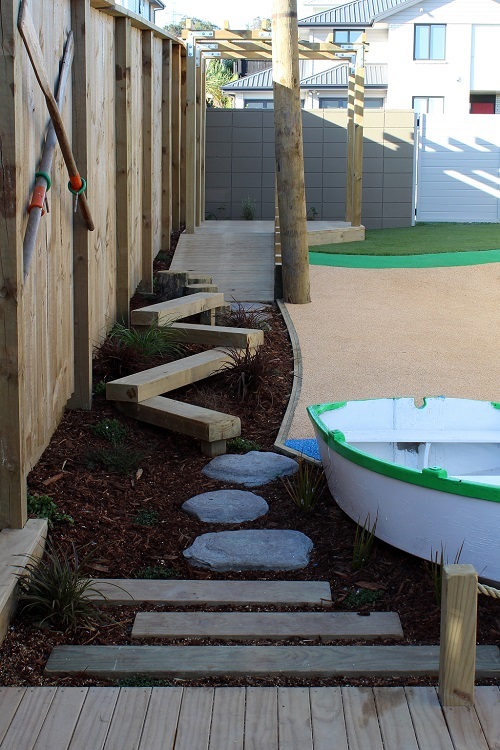 We allow children to develop naturally and discover, building on their physical and cognitive skills daily in an inspiring and stimulating environment with caring and supportive staff. The programme is organised so that all children have times of the day which are directed activities (both group and individual -encouraging participation) and self-initiated discovery (free play), however we do not fit children into our educational programme; we adjust our programme to meet the interests and needs of the children. Children’s experiences are captured in beautiful portfolios, which are available both in hard copy and online, as well as through daily diaries and newsletters, wall displays and models. The Centre is sensitive to each child’s individual needs. If your child has any additional or special needs, (e.g. dietary, cultural, medical etc. ), we would encourage you to speak to the Manager or Head Teacher about how we can best accommodate them. We understand that the process of transitioning from early childhood to school can be a concern for some parents and children. At Just Kidz we aim to make the process smooth by instilling skills in our young learners from the time that they start at our centre. As stated in our core curriculum, Te Whāriki, we believe in the competence & confidence of the young learners and build on these further through our daily programme. These skills are encouraged, praised and developed in children from the time they begin in the babies room. Moreover, at Just Kidz, the preschool routine is designed in a manner so that it provides a stimulating environment in preparation for school. 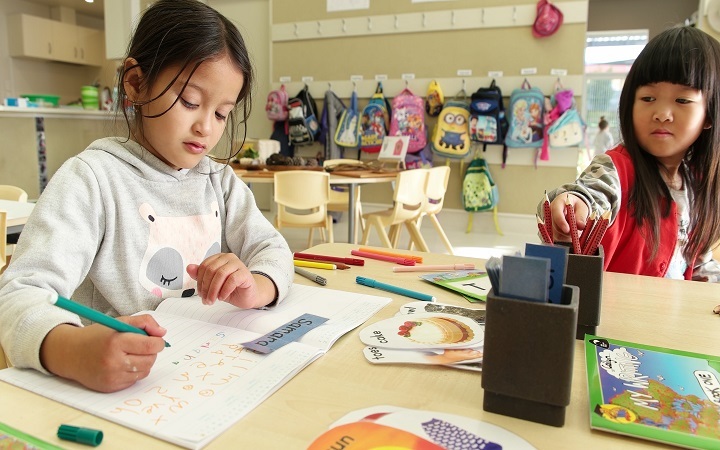 Through the enquiry learning approach in programme planning, children are engaged in fun activities which encourage pre-numeracy (number, shape, weight, pattern, calculations etc.) & pre-literacy skills including a phonics programme as well as developing a love of story books/ reading and good communication/ listening skills. Science & technology, social skills, self-help skills, good concentration and problem solving are all equally important aspects of our transition programme. 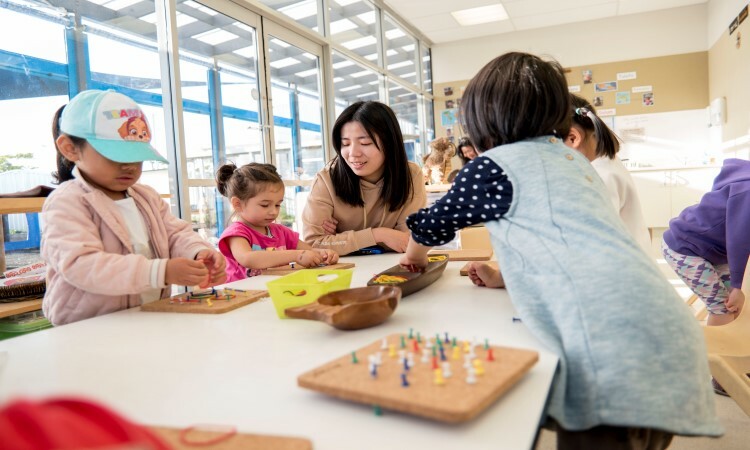 The afternoon meeting/hui in the preschool room challenges the children’s concentration span and encourages them to think and problem solve and work individually on skills and in teams.